"The location of this hotel is perfect, walking to distance t..."
Have a question for Korbua House? "Great location, excellent staff, another great stay." "Excellent clean friendly establishment in walking distance of Khao San"
"the staff were very friendly." Designed for both business and leisure travel, Korbua House is ideally situated in Khaosan; one of the city's most popular locales. The excitement of the city center is only 10 km away. 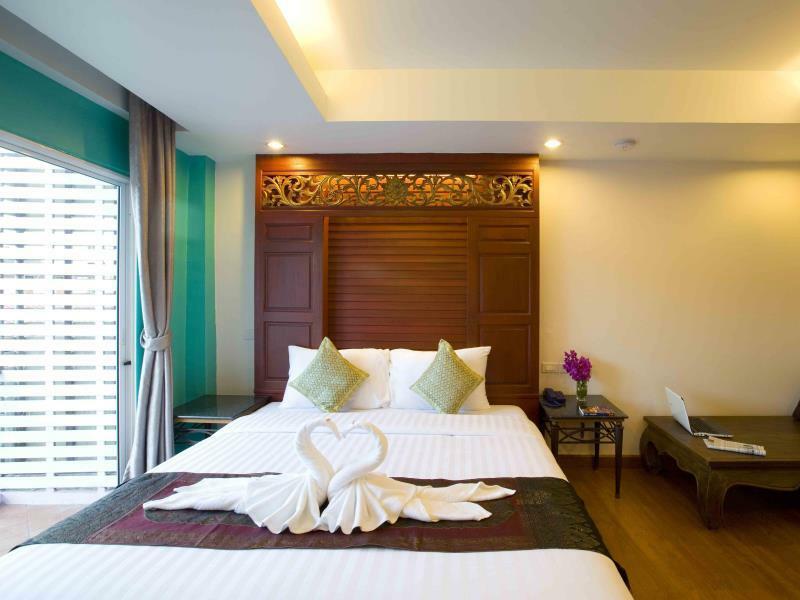 This modern hotel is in the vicinity of popular city attractions such as Wat Bowonniwet, Max fashion, Chaopho Khao Tok - Chaopho Pantai Norasingh Shrine. Offering hotel guests superior services and a broad range of amenities, Korbua House is committed to ensuring that your stay is as comfortable as possible. Top features of the hotel include free Wi-Fi in all rooms, taxi service, 24-hour front desk, luggage storage, Wi-Fi in public areas. Experience high quality room facilities during your stay here. Some rooms include television LCD/plasma screen, cleaning products, free welcome drink, mirror, towels, provided to help guests recharge after a long day. The hotel's massage are ideal places to relax and unwind after a busy day. 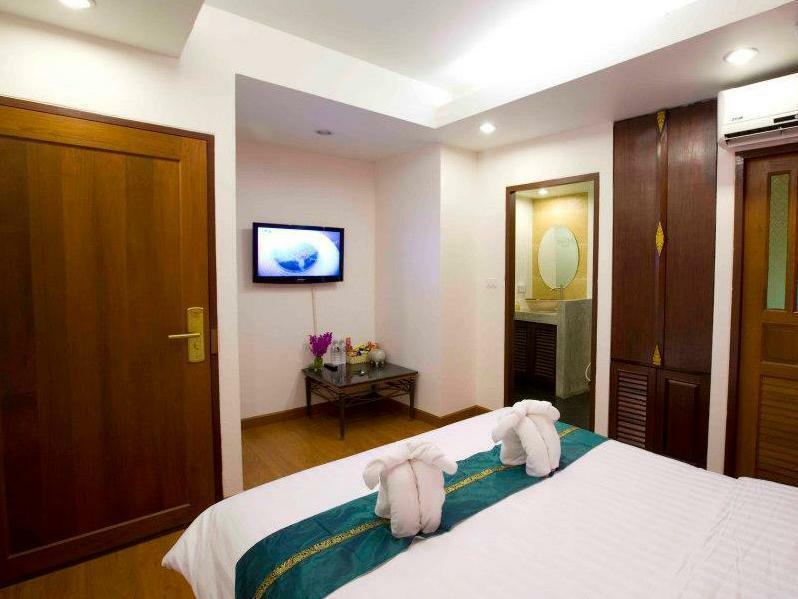 Korbua House is an ideal place of stay for travelers seeking charm, comfort and convenience in Bangkok. "Very friendly staff, great location, within walking distance..."
Really nice friendly staff. Arrived super early and staff arranged for me to check in as soon as was possible. Great location close to all but still nice and quiet on the river. Always stay here now when in Bangkok. Highly recommend. We are ussually stay in this hotel. 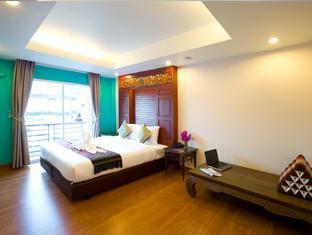 Location is perfect, close to Rambutri and Khao San Road on the quite street in front of canal. Hotel is very cosy and nice. Breakfast with the canal view is fantastics. Sure, I will stay here again. Highly recomend. 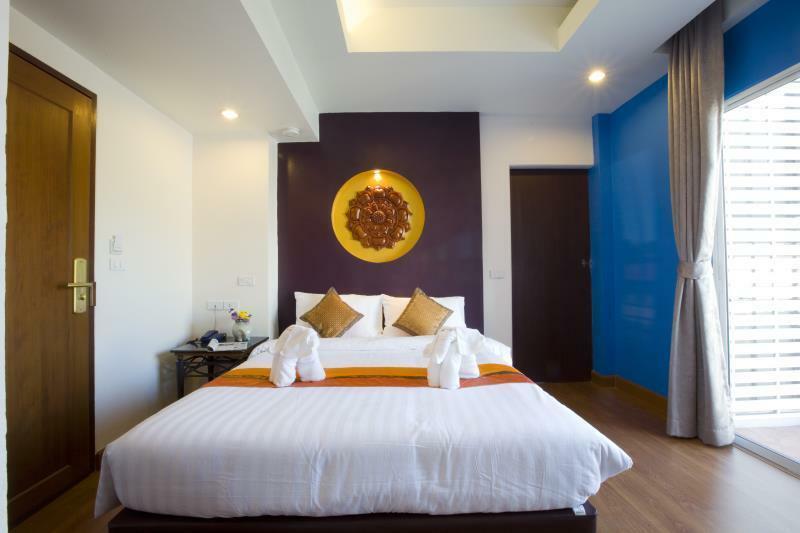 The location of this hotel is perfect, walking to distance to Khan San Road for great food and night life! Short taxi to many night markets and temples! Staff was more like family, so kind and friendly. It’s on a quiet canal yet close to just about anything you need! We will return next time in Bangkok. If you want to stay near the action of Khao San Road, yet have a quiet, tranquil place to chill out, Korbua House is perfect. It is just a few blocks off KS Rd but away from the noise. Right on the canal and near the river express boats you have convenient and easy access to city attractions. Rooms are large and spacious, staff is friendly and the small restaurant/bar overlooking the canal is relaxing and a welcome bonus. Well located near all the attractions in this part of the city but quiet because of the location on a lane overlooking a canal. Staff were great, friendly and helpful. Would definitely stay here again. This was our 3rd time visiting Thailand and our 3rd time staying at Korbua House. It is in a great location, close to Khao San road but is very quiet and relaxing. The staff are very friendly and helpful, offering advice on where to visit, directions, and answer any other questions you might have. There is a nice outdoor eating area that overlooks a canal. There is no pool unfortunately, but that is about the only drawback that we can see. 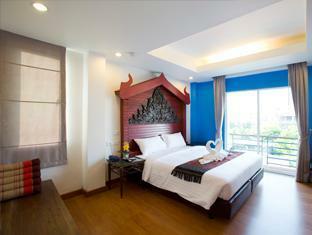 Nice little hotel in Bangkok, 5-10 minutes walking distance away from Khao San Road, the famous backpacker's district. Tucked away in a quiet corner, just by a canal. The rooms are a little small, but clean. The breakfast is tasty with plenty of options. If you don't mind the smell of the canal, you can sit outside and enjoy the view as well. Plenty of nice restaurants around as well. Overall, great hotel on a budget. We spent a couple of days around Bangkok, explored some other cities, and came back for 1 day, 2 nights before our flight home. The Korbua House was perfect for our quick trip back - great location, clean, helpful staff. It was close to Khaosan Road, but without all the noise. I would definitely consider staying here again. The room are confortable and silent. The hotel stay a little bit outside from khaosan Road. The staff was very friendly. The location is accessible. The room and toilet are nice and clean. We're out the whole day and everytime we come back, they've tidied up the room! But somehow, there's this smell coming from either the toilet or canal. Aside from that, everything is OK! Great "canal" location with complimentary coffee (that you can actually drink) a warm welcome, clean rooms - but go for the executive if you can. Good wifi and air con. I have stayed many times, love the area, safe old fashioned but close to Khao San etc. Hotel keeps more of a traditional feel to it. Nice!! The toom guven to us was small but vlean. We dont have a window. Overall, it met our requirements and expectations. Daily housekeeping, hot/cold shower, clean linens 😊 Will definitely book korbua again. This is our 4th time staying at Korbua while in Bangkok, and once again it was great. The location is off of Khao San so it is quiet, but close enough to walk to in about 5 minutes. The rooms are nice and clean, and the wifi is good. The food is excellent and very low cost, and the staff is very nice and helpful. Recommended to stay here if in Khao San area. This was our third time staying here in the last 2 years, and once again we enjoyed it. The location is a 5 minute walk from Khao San road, which means it is quiet and you can get a good sleep. The staff is excellent, even staying up until 3:00am to allow us to check in late after our flights were delayed. The rooms are comfy and will provide a much needed recharge zone before heading to other areas of Thailand. We don't have anything negative to point out. Keep in mind there is no pool at this hotel. Value for money, location and quietness. We have stayed at Korbua House twice before, its location is perfect if you want to spend time on the Koh San Road and see the main sites of Bangkok. It is right next to the canal which does smell a bit, but you get used to it and most of Bangkok smells and you can't smell it in the rooms. I was very disappointed with the room we were allocated this time, it was very small and didn't have any windows. Previously we have had canal view rooms, which was perfect and a lot better size. I would stay here again but make sure I have a canal facing room.